Desiree Puentes could only pray for help. The young mother was struggling to raise four children in Monterey Park in 2013 while caring for her bed-ridden great grandmother. She had also suffered from domestic violence at the hands of her husband and was currently enduring emotional abuse from him. “I couldn’t pay attention to my kids the way I should have,” Puentes recalled. So she prayed. But when help came, it was not in the form she wanted. The Department of Children and Family Services arrived in July 2013 to assess the safety of her children. The allegation: general neglect. Puentes’ mind flashed back to her own childhood when, at age 6, her drug-addicted mother lost custody of Puentes and her four siblings. She and her brother went to live with her great- grandmother. But when she was reunited with her family the following year, Puentes’ children had changed. Indeed, Jenesis and Aiden’s traumatic triad of growing up in a home with domestic violence, being taken from their mother, and placed in a fear-inducing foster home are each what experts call Adverse Childhood Experiences (ACEs), which can lead to a myriad of negative emotional, social and physical health consequences in a child’s youth and well into adulthood. ACEs can include economic hardship, maltreatment, neglect, physical and emotional abuse, witnessing domestic violence, living with someone with an alcohol or drug problem, a parent serving time in jail, and family disorder leading to separation or divorce. When Aiden and Jenesis were reunited with their mother, Puentes’ recalled, they were very different from before they were removed from their home and placed in foster care. Jenesis, then age 3, had temper tantrums, defiance, clinging and attention-seeking behaviors. Aiden, then age 5, had inattentiveness, defiance, physical aggression and temper tantrums. After months in therapy, Puentes was referred to Parent Child Interactive Therapy (PCIT) in March 2015 at Five Acres, a Pasadena-area nonprofit agency providing services to families throughout Southern California. Five Acres is one of 51 agencies employing PCIT throughout Los Angeles County in part due to First 5 LA’s $20 million, five-year investment in PCIT training for up to 400 therapists. So far, therapists have served 3,855 clients throughout the course of their training since the First 5 LA program began. 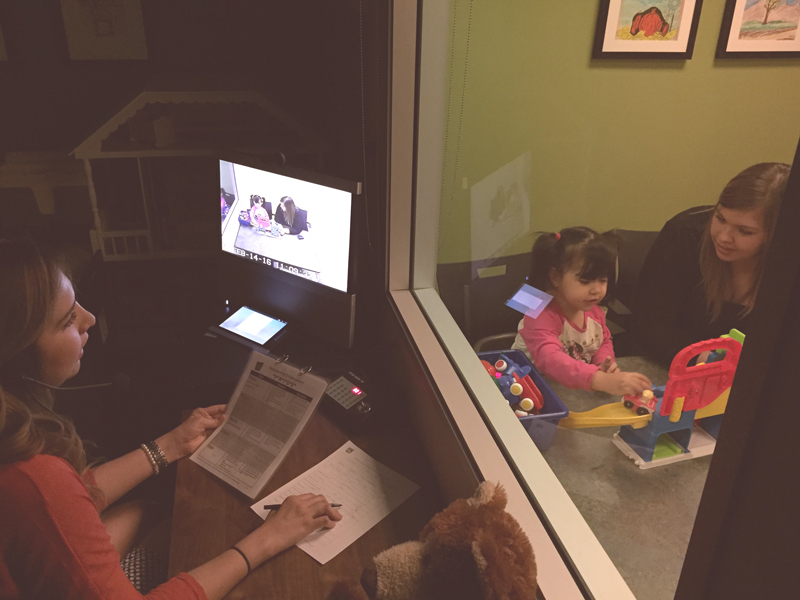 Through PCIT, a therapist wearing headphones in an observation room on the other side of a one-way mirror guides a parent’s interaction with their child in another room. The parent learns to use labeled praise, behavioral descriptions, reflections and selective attention to manage their child’s disruptive behaviors. Targeted at families with children ages 2 to 7 at risk of entering the child welfare system, PCIT provides up to two dozen of these 50-minute sessions per family. Puentes participated in PCIT with Aiden for seven months and 10 months with Jenesis. During that time, she practiced her positive parenting skills on a daily basis with her children at home, school and in the community. The Los Angeles Times and the Chronicle of Social Change have penned articles about PCIT’s implementation and impact in Los Angeles County through First 5 LA funding. The video below is another such story. In a January 2016 report from Compton-based Star View Community Services, of the 63 participants served through the agency’s First 5 LA-funded PCIT training program during the past year, more than two out of three children “improved in a reliable and clinically significant manner by the time they exited the program.” This improvement extended outside the home as well: the number of children experiencing significant problems in school dropped from 42 percent to 17 percent. In its 2016 California Children’s Report Card, Children Now cited PCIT as among the programs that help families with children with a history of maltreatment. “Without PCIT, it is likely that young children would not receive some form of mental health intervention until later age, increasing the probability that they would develop more ACEs and thereby increasing the likelihood for health and social problems in later life,” echoed Wendy Gutierrez, the Five Acres therapist who worked with Puentes. Multiple ACEs during childhood can have a lifelong negative impact on academic performance, social connections, mental and physical health. It can also increase violent behaviors, leading to a greater risk of incarceration. One reason: trauma can affect brain development in young children. For example, adults who were maltreated as children show a reduced volume of the hippocampus, which plays a central role in learning. Early experiences of trauma can also interfere with the subcortical and limbic systems, which can result in extreme anxiety, depression and difficulty forming attachments to other people. In the landmark 1985 ACE Study of 17,000 San Diego Kaiser patients by Kaiser Permanente and the Centers for Disease Control and Prevention, researchers found that two out of three people had experienced at least one ACE. In most cases, not just one, but several, of these ACEs existed in the child’s home. Trauma-inducing events like ACEs have a lasting impact on the psyche. In cases of domestic violence, it can take two to three years to get past the shock. The grief of losing a parent: seven years. Sexual abuse: 25-30 years. Furthermore, trauma can affect entire communities. In high violence neighborhoods, many experts believe that whole communities are traumatized, according to a February report on Adverse Community Experiences and Resilience by the Prevention Institute. According to the Data Resource Center for Child & Adolescent Health, one in five children in Los Angeles County have endured two or more ACEs. There may even be more than reported, as ACEs can go undetected because of the shame that hampers people from talking about such experiences. “We want everyone to understand that one of the largest public health crises in America is hidden in plain sight: the lifetime of mental and physical health problems that have their roots in childhood adversity and trauma,” said California Endowment President & CEO Robert K. Ross. Unfortunately, California is doing little to combat early childhood trauma. In the aforementioned 2016 California Children’s Report Card, Children Now recently gave a D- to the state for its inadequate response to childhood trauma. Amidst the dark cloud of childhood trauma, however, rays of hope are breaking through in the Golden State. In addition to its praise of PCIT, Children Now cited First 5 LA’s voluntary home visiting program as one example of a service that is trauma-informed and that focuses on preventing trauma by providing support for parents of newborn children. Parents receive personal coaching on topics ranging from maternal depression and parent-child bonding to breastfeeding and home safety. This program acts to ease stress and frustration and to connect families to a range of supportive services in their community. Children whose parents participated in this type of program grow up healthier, are ready for school and are less likely to end up in social welfare or juvenile corrections systems. Another example is The California Endowment’s investment in teaching educators and school staff about how childhood trauma can manifest as behavioral problems. Rather than reacting by suspending children, schools are developing alternatives that keep children in school through supportive services that teach how to develop resilience and resolve conflicts peacefully. 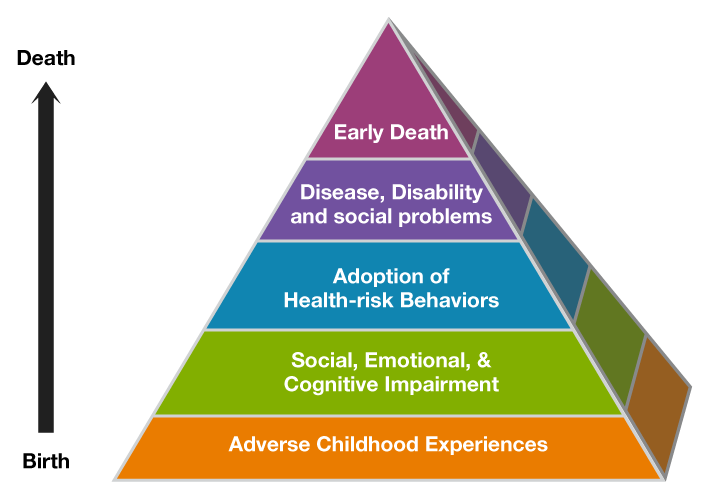 In fact, building resilience in young children can be a key buffer to the negative impacts of ACEs. For instance, among children with two or more ACEs, those who show resilience are much more likely to be engaged in school and less likely to repeat a grade. Another key to building resilience and preventing childhood trauma, experts agree, is the creation of trauma-informed institutions and communities that understand how unaddressed childhood trauma can set a child down a dangerous path. What does a trauma-informed community look like for a young child? First 5 LA recognizes the importance of this trauma-informed approach while it continues to implement its five-year PCIT workforce development program. The first step in that process will be First 5 LA’s co-convening on April 1, Healing From Trauma and Building Resilience in Los Angeles: How Systems Leaders Can Make a Difference, planned in partnership with The California Endowment, the California Community Foundation, and the Ralph M. Parsons Foundation. This convening will bring together L.A. County agencies, foundations and other key stakeholders to learn about current trauma-informed care systems efforts, help identify points of alignment, and discuss future actions. The convening will be the launch of First 5 LA’s collective impact strategy to jointly develop a common agenda to transform Los Angeles into a trauma-informed county. Meanwhile, back in Monterey Park, Puentes is moving the needle in a positive direction for her children a little more each day. Even more, she is sharing what she learned with other parents. At a recent birthday party, a number of the parents noticed how focused and engaged the children were in response to Puentes, who was showering them with labeled praise. “Where did you learn to talk like that?” one parent asked. *(Five Acres filed a child abuse report about the alleged maltreatment of Puentes’ children at the foster home.